As the season shifts and temperatures drop, kids tend to spend more time indoors. This is good news for your carpets – less mud trekked through the halls! But it could be bad news for your child’s health. Lead poisoning is a real danger, even if you live in a newer home. Although lead poisoning is often linked with the paint of older homes, children may be exposed to lead from water pipes and from brass and chrome-plated brass faucets, especially when hot water is used. Read on to learn about lead poisoning symptoms and prevention. To prevent lead poisoning, don’t allow your child to chew on anything covered with paint or paint dust. Contact a professional if your home was built before 1978 to have the paint tested for lead. Also, have your home’s water tested. Always let tap water run for a few moments before using it and cook with cold tap water only. Certain imported items, including toys, candy, candy wrappers, ceramics, makeup and jewelry also can be sources of lead, according to the Pennsylvania Department of Health. Encourage your children to wash their hands before meals. Serve them foods rich in iron and calcium. This can limit the amount of lead that remains in the body. Good choices include eggs, lean red meat, beans and dairy products. Ask your health care provider or pediatrician whether your child’s blood needs testing. The younger the child, the greater the risk for lead poisoning. Children at risk should be tested between 9 and 12 months, again at 24 months and then as often as your health care provider recommends. 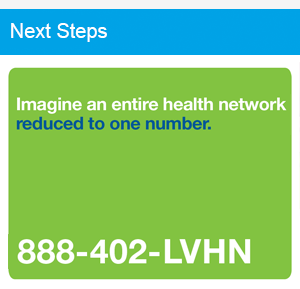 If you need help finding a pediatrician or provider, visit at LVHN.org/children.